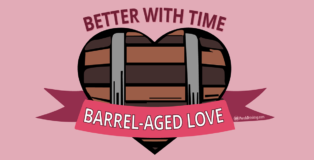 As Valentine’s Day approaches whether you have a special someone in your life or not, just know that Chicago’s breweries are there for you and that beer never judges. 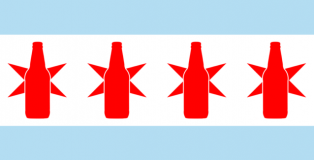 We compiled a list of all kinds of events/promotions breweries around the Chicagoland area are doing for the week of Valentine’s Day. Lively. Affectionate. Unforgettable. Beautiful. Generous. Unwavering. Persuasive. Bold. Charismatic. Cultured. Motivating. Daring. Frisky. Patient. Understanding. Captivating. 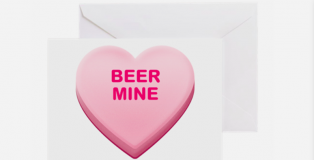 Whether Valentine’s Day is a special night filled with romance, the one day each year to indulge on copious amounts of sweet treats, or an excuse to raid your cellar and celebrate the single life, PorchDrinking wanted to wish all of our readers a very special Valentine’s Day with a set of Beer Themed Valentine’s Day Cards. We firkin love you all! 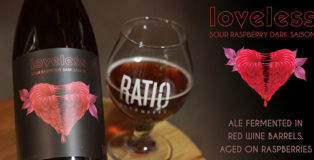 Valentine’s Day marks the release of one of Ratio Beerworks newest beer creations: Loveless Raspberry Dark Sour Saison created to celebrate the Denver brewery’s 2nd Anniversary. We got a sneak peak of this beer at a special early tasting on February 9. 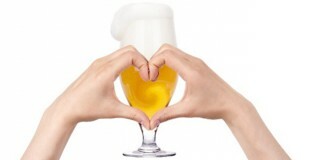 Beer is a love language all on its own. 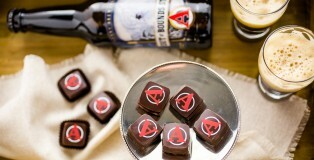 This Valentine’s Day, show your love language by indulging in one of these chocolate-infused craft beers oozing with rich, sweet chocolate goodness. 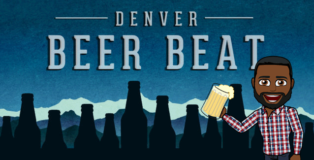 This Ultimate Round Up will help you find the ultimate chocolate beers. You can forgo the chocolates and roses this year. We won’t judge. Looking for somewhere to go this Valentine’s Day? Whether you’re single, paired up or “it’s complicated” there is an event for you. 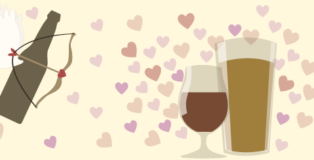 Nothing says “I Love You” like a good Valentine’s Day beer. February 10, 2016 | K.C. Hopefully the only hearts that get broken this Valentine’s Day are these cookie hearts when you take a big bite out of them. For this holiday edition of Cooking with Beer, I’ve teamed up with Epic Brewing Company to showcase their newest brew to cans, Lil’ Brainless Raspberries. This sweet treat is easy drinking with the perfect amount of raspberry punch. This flavor profile is why it was chosen to create the raspberry filling for the lemon shortbread cookies. Not to mention the pretty in pink cans were extremely hard to resist. If you’re trying to impress your crush or you’re just really into cookies, bake a batch of these Lil’ Raspberry Cookies. 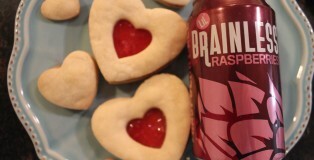 If you’re really trying to win extra brownie points, get an extra sixer of Lil’ Brainless Raspberries to go along with them. Happy Valentine’s Day, lovers! 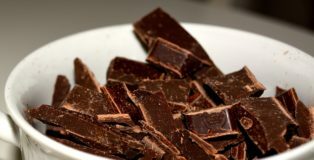 The time has come again for overused reds and pinks, chocolates and overcrowded chain restaurants. Good ol’ Valentine’s Day is back with its ever present divide between love + affection and nausea. Couples are sure to get a little more mushy and singles are likely to roll their eyes in disgust. I’ve decided to put together an Ultimate 6er for anyone caught in the middle. We’ve put together a pretty damn expansive Valentine’s Day playlist. You want indie rock romance? We’ve got it. You want R&B? We’ve got that, too. You want a couple “anti-romance” songs? Oh, you’d better believe we’ve got a couple of those. So enjoy our selections – feel free to suggest any that we may have missed in the comments below. Happy Valentine’s Day!